Join divers from around the globe diving in Tulamben Bay with its diverse and prolific marinelife, and the world-renowned USAT Liberty Shipwreck, or explore sites “outside” Tulamben. 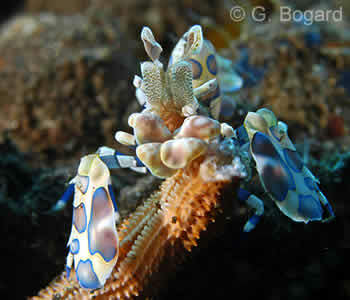 The Tulamben Dive Trip is our most popular 1 Day SCUBA Trip. Our Day Trips and Dive Safaris to Tulamben on Bali’s north east coast are enormously popular with visitors to Bali due to the wide variety of sites in the area. This includes the world-renowned 120 metre USAT Liberty Shipwreck. Upon arrival in Tulamben, as you settle into our base for the day, the Tulamben porters will unload the dive gear, tanks, etc. You will then listen to the dive briefing from your AquaMarine dive guide. 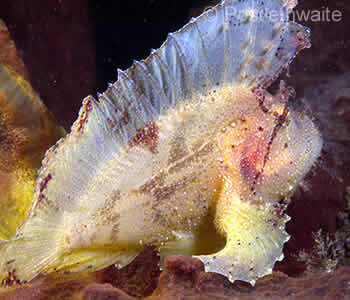 Third Day Dives on a Tulamben dive trip are almost always possible but must be booked in advance. If you’d like to do a Night Dive in Tulamben Bay, we can arrange an overnight stay for you in one of our Suggested Hotels. Our dive base is located right on the water. It couldn’t be more convenient for the USAT Liberty Shipwreck! Tulamben Bay offers three main dive sites: The 120m USAT Liberty Shipwreck, The Coral Garden and The Wall/Drop-off. It is an excellent dive location for divers of all levels, from novice to experienced. Tulamben Bay is also ideal for snorkellers. We recommend you do two dives on the USAT Liberty Shipwreck. It is a fascinating site and would take weeks to explore (if you had time!). 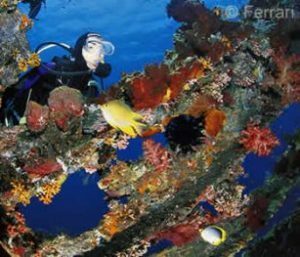 Make the most of your Tulamben Dive Trip and enjoy two (or more) dives on this world-famous wreck. For those who are not certified, Tulamben Bay is an ideal location to join our 1 Day Introductory Adventure Diving Programme. Non-divers may enjoy snorkelling above the wreck. Several unusual and exciting sites just outside Tulamben Bay, provide opportunities to see pelagics as well as reef life different from that found within the bay. Muck-divers, macro-photographers and those looking for ‘something a little different’ may like to try the Seraya Slope area. If you are diving at Palung-Palung, Batu Kelebit, Emerald or Kubu, you will be using a local boat (jukung) to reach your chosen site. Please make sure you apply sunscreen before leaving Tulamben.